【Ginza・Hibiya】Experience modern Korean dining in our restaurant which is directly connected to Hibiya Station. 【Marunouchi・Kyobashi】Enjoy our Yakiniku and other offerings, prepared with the carefully-selected ingredients at the peak of each season. 【Toyosu・Harumi・Odaiba】Enjoy Yakiniku leisurely in the"Greening Area" in the middle of Toyosu. 【Azabu・Roppongi・Akasaka】Enjoy Yakiniku in NIshi-azabu-Kasumi-cho, while savoring its exoticism. 【Azabu・Roppongi・Akasaka】Enjoy yourselves here with your congenial buddies in the way you choose to, with no restrictions, no matter how loud you are. 【Shibuya・Aoyama】Authentic charcoal-grilled Yakiniku restaurant that is hidden in the underground pathway behind the alley of Omotesando. 【Shinjuku・Ikebukuro】Japanese-style rooms for relaxation that will make you forget the hustle and bustle of Kabukicho. 【Shinjuku・Ikebukuro】The Yakiniku restaurant where you could enjoy an abundance of vegetables, based on the ancient concept that "food is medicine". 【Shinjuku・Ikebukuro】Enjoy the Yakiniku of NAGOMI's for important entertainment and for the anniversaties of your family. 【Shinjuku・Ikebukuro】A place for adults to enjoy good food, drinks and conversations. 【Korakuen】Relaxing get-togethers in Korakuen to enjoy Yakiniku leisurely. 【Kichijoji・Kunitachi】Enjoy carefully-selected Yakiniku in a classy space that you could choose from any part of the three floors of this restaurant. 【Ueno・Kanda・Akihabara】Yakiniku in Ueno, the "battleground" of Yakiniku-- An account of its past and present. 【Kinshicho・Minamisuna】A Yakiniku restaurant where you could "enjoy plenty of vegetables." 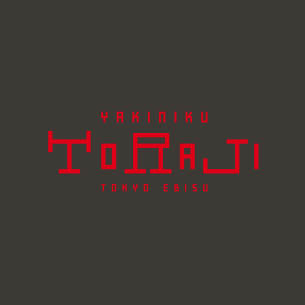 【Futakotamagawa】Enjoy carefully-selected Yakiniku in a classy elegant space. 【Yokohama・Shonan】A dining area that feels like being in a comfortable living room. 【Yokohama・Shonan】Experience the bliss of Yakiniku in the dining space in the authentic Japanese style. 【Yokohama・Shonan】Wrapped in colorful "Hoshagi" with which we pray for good fortune. 【Yokohama・Shonan】Experience Yakiniku dining in the setting, featuring the streets like those of Lyons. 【Saitama】The concept is "a village with Korean traditional houses"
【Nagoya】The fantasy space created by Korean celadon, the space that is directly connected to Nagoya Station. 【Nagoya】Come to our relaxing private rooms to enjoy authentic Yakiniku, prepared with thick chunks of meat that are our original.